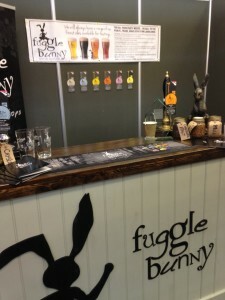 The summer always kick starts lots of events and special occasions, therefore if you are celebrating a special event or just fancy pulling your own at home then do not fear, The Fuggle Bar is here. Whether it be a corporate event, Wedding, Special occasion anything where you want to celebrate then let us take care of everything and hire the fuggle bar. For those who do not have a huge event to celebrate and fancy having their own cask and handpull at home this can also be arranged. 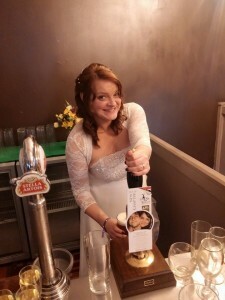 For that special something and to add that extra finishing touch then why don’t you have your chosen beer personalised around your special day. 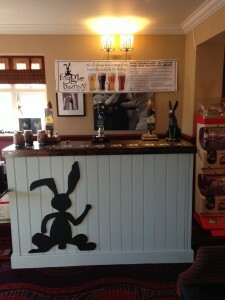 Full Set up, choice of upto 4 beers and 4 handpulls, equipment hire, the bar can be dressed for special occasions, local delivery and collection. If you are personalising any pump clips these will be included or you will have the normal pump clips which fit your chosen beers.